In this article, I’ll be giving my review of what I think are the best knee sleeves to be using when you’re doing squats in weight lifting or crossfit. We’ll be focusing on these sleeves: Bear KompleX Knee Sleeves Vs Mava Sports Knee Compression Vs Primal Elite Knee Sleeves Vs Evolutionize Performance 7MM Knee Sleeves. Just a word of advice before we dive into this list, if you are new to squatting, take the time to perfect your squat form. This will not only help to get the most out of your leg workout but also to help aid injury. These are just tools to aid you when working out, they are not a magic item to prevent or cure you from injuries. Alright, now let’s look at my knee sleeve picks. The Bear KompleX Knee Sleeves are created to give you good support when you are doing your exercise routine. Whether you are doing squats, lunges, box jumps, etc., you know that your knees are better protected. What is nice about this brand is that the knee sleeves are designed to give optimal comfort. It can help lessen the pain and increase the blood flow so while you are exercising your knees are warm. The product is available in different sizes and colors suitable for both men and women. Another quality workout item that you must have is the Mava Sports Knee Compression Sleeves Neoprene 7mm for Men & Women for Cross Training WOD. It is designed to give you knee compression and can effectively promote the recovery of your muscles which can be really useful to aid injuries. When you use these sleeves while you are working out, in a way it can also promote joint health and at the same time give you optimal comfort as well as support. The sleeves are anatomically shaped which only means that it is designed for optimal performance. Unlike other sleeves, the Pair of Knee Compression Sleeves Neoprene 7mm for Men & Women for Cross Training WOD can reduce muscle stiffness and can help you avoid experiencing any discomfort. 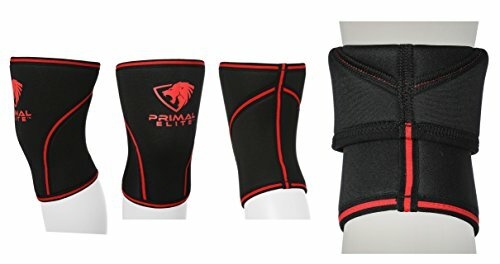 If you are willing to spend, the Primal Elite knee sleeves is also a good choice as it is designed to give you fitness longevity. The sleeves have knee compression features that can help to support/protect you while you are working out. It can help by potentially aiding you from incurring injuries and can also reduce the pain especially when you are engaging in a rigorous workout. Known for its platinum standard quality, the brand will not disappoint. That is why many athletes have been using Primal Elite for years. 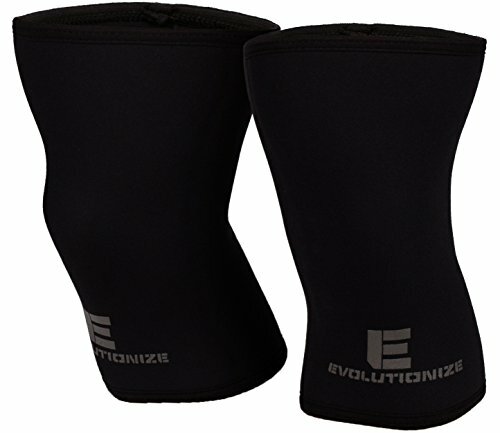 For intense workouts the Evolutionize knee sleeve is a great one to get look into getting. Although it is slightly much more expensive compared to the other choices, it is designed for heavy duty use. It is created for leg training which means that they are developed to give you optimal support when you have to carry heavy weights and when you have to engage in really intense exercise routines. Compared to other knee sleeves, this one can give you maximum support and comfort. So it can hold knee compression very well during your workout. To help reduce ache or pain while working out, the product features 7MM neoprene thick material. It is made from high grade materials which means that you get to have knee sleeves that can last and are almost unbreakable. Another positive point of this product is that it also gives you extra length and a much better coverage. The sleeves have 30cm length for better coverage and gives you more warmth as well as compression while you are working out. So if you are into more rigorous workouts, this is a great one to have. Being physically fit is very essential for you to reduce your risk of having certain diseases and illnesses not to mention of the fact that you also have to engage in regular exercise if you really want to achieve that gorgeous body. And for both men and women, crossfit and weightlifting are just some of the best choices if you want to lose weight and to achieve that toned body. But just before you go straight to the gym and train, you need to prepare the items you need just to be safe. There are so many things that can happen while you are working out so you have to make sure that you protect yourself in order to aid injuries.